27 Responses to "Let’s Get Social #15"
Hey BJ…thanks so much for co-hosting the blog hop. I love your home tour and hope you post more pics of other rooms soon. Following you via BlogLovin’. Hope you can stop by my blog and follow me back! Greetings from Jamaica BJ. Thanks for co-hosting. I am now following you in several ways. Have a wonderful week. Hello! 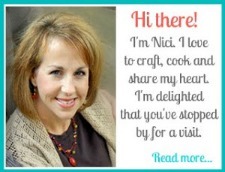 I found your blog thru the Let’s Get Social Sunday and am following you thru FB and Bloglovin’. I’m so happy to be co-hosting Let’ Get Social Sunday with you! I was already following you in a couple of ways, but I went through your buttons and just followed you on all the sites I was missing. Have a wonderful week! I am now following you as well, on Networked blogs. I love meeting new friends and look forward to getting to know you and your blog better! I am so happy that you chose to follow along! I tried to go to your blog but an error message 404 came up. I will try again. Let me know if the problem is on my end! I am now following you as well! How fun to have a new friend in Jamaica 🙂 Looking forward to getting to know you and your blog better. I was following along with you as well but added one I had missed today. Fun to be co hosting as well! So glad to have you follow along! It is always fun to meet new friends … looking forward to reading your blog. I LOVE pineapple upside down cake!!! I am following you back as well! I am now following you along as well! 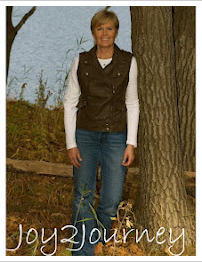 I love meeting new people and I am looking forward to getting to know you and your blog as well! By the way, I love Debbie Macomber’s books! I am an avid reader. I’m your latest linky follower. Thanks for hosting! 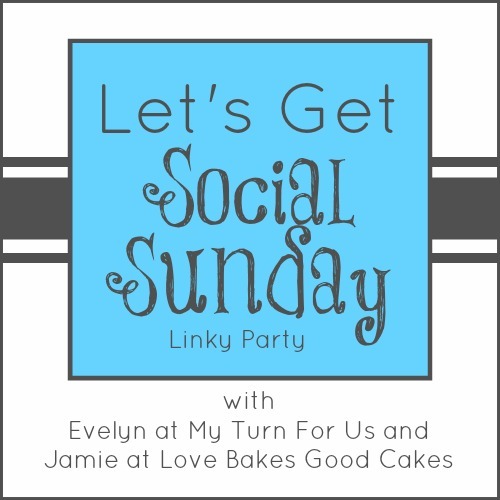 New follower on Facebook, Instagram, and Bloglovin’ from Let’s Get Social Sunday! Thanks for hosting such a great party! Hi! I’m following from Let’s Get Social Sunday. Nice to meet you. It is always so fun to meet new people and I am looking forward to getting to know you and your blog better! I am following you too on Networked Blogs! Looking forward to getting to know you and your blog better. Thanks for co-hosting. I think I am following you every way I can now. You just won the Liebster! I remember getting mine. Fun stuff 🙂 Glad you enjoyed the party! It was fun but holy hannah I am still working on the follow up! 🙂 Hope your day was a good one! Ditto! Fun meeting new friends! Have a great Sunday! New bloglovin & twitter follower, thanks for co-hosting! I am so excited! I love meeting new friends! I am hopping over to Bloglovin to find your blog to follow as well!